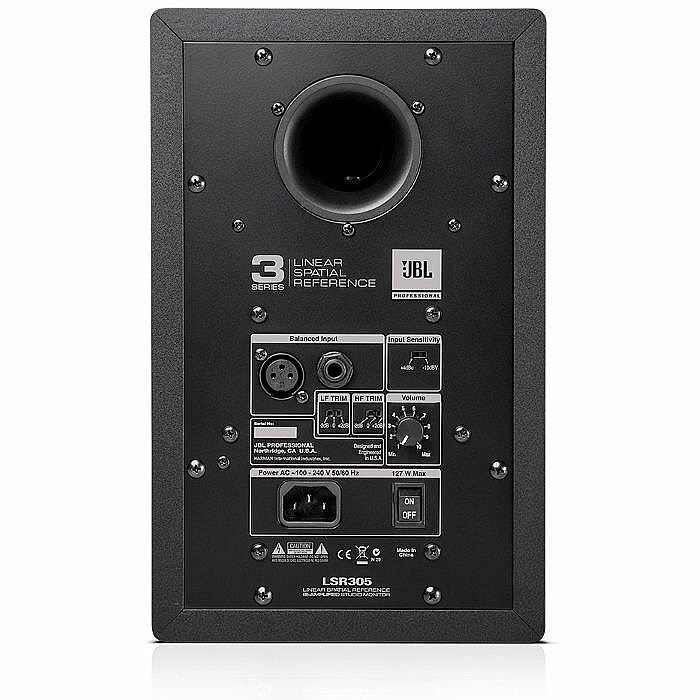 JBL JBL LSR305 Two Way Active Studio Monitor (single, black) vinyl at Juno Records. 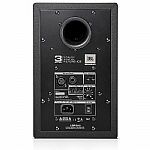 The LSR305 is a biamplified studio monitor with a magnetically shielded 5" low frequency transducer and 1" soft dome high frequency transducer and image control wave guide. Class-D 41watt RMS amplifier for LF, and 41watt RMS amplifier for HF. Balanced XLR and 14" TRS inputs with dented level control, HF and LF trim controls. The Image Control Waveguide was developed for JBL's new flagship M2 Master Reference Monitor and with the introduction of the JBL 3 Series, is now included for the first time in an affordable, compact reference monitor. The patent pending design of the Image Control Waveguide precisely controls the sound emanating from the speaker in the vertical and horizontal planes ensuring the presentation at the listening position is neutral and accurate. 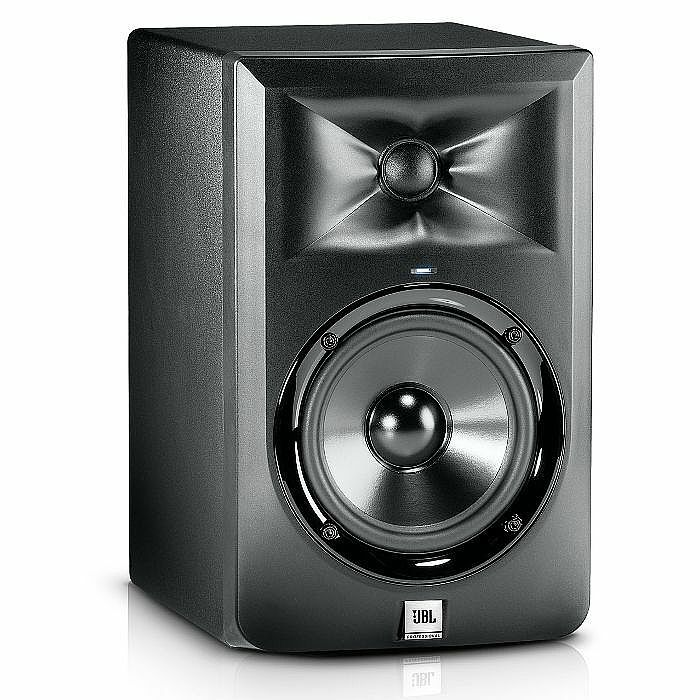 JBL Transducers are legendary for their performance. The 3 Series long throw woofer and its damped woven composite Neodymium tweeter are designed from the ground up to reproduce the powerful transients and micro dynamics of your mix. These drivers deliver impressive deep bass and smooth high frequency response beyond the range of human hearing. JBL's Patented Slip Stream low frequency port design works in concert with the woofer to produce deep bass response at all playback levels. The double flared shape of the port is precisely engineered for greater low frequency extension and reduced turbulence. LF Trim and HF Trim "TRIM" switches for both the Low and High Frequencies give you excellent control over the 3 Series sound in "your" room. Use these to fine tune the amount of bass and treble you hear to compensate for room acoustics, program material and your personal taste. 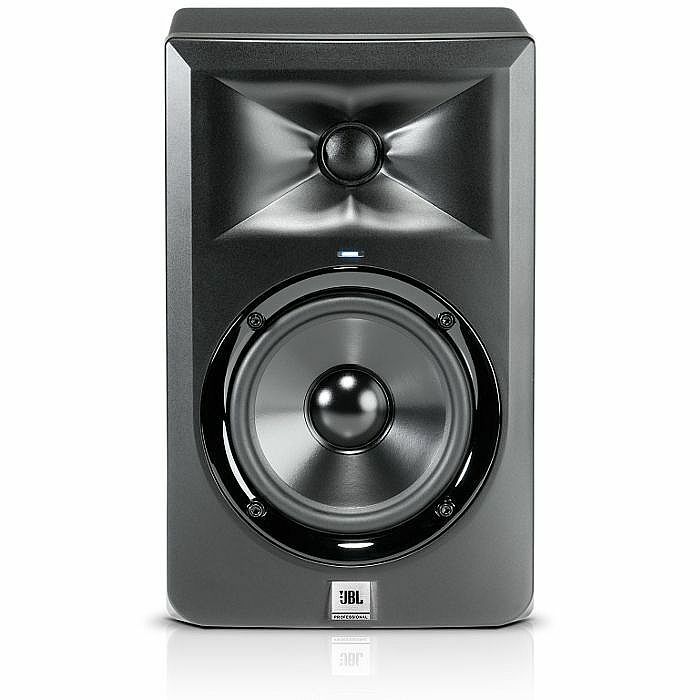 Prior to becoming a production ready design, each 3 Series model is subjected to JBL's tough 100 hour power test, in which the speaker is required to play continually at full output for 100 hours without failure. This demanding test ensures your 3 Series speakers will deliver years of reliable performance.